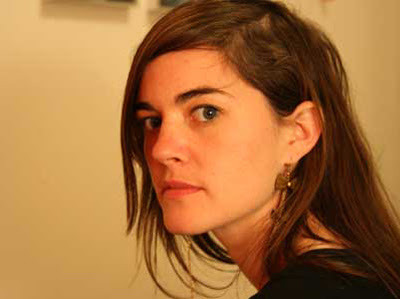 The New York-based musician Julianna Barwick chose the voice as her main instrument. With only the help of a guitar pedal with a loop feature she wrote "Sanguine", a homemade collection of short but beautiful circular and ethereal songs. The interview and in-studio performance was recorded some weeks ago, during Julianna Barwick's first European tour. Exploratory choir music? A norte-americana Julianna Barwick elegeu a voz como intrumento de eleição. Com o auxilio de uma pedaleira que lhe permite gravar e repetir frases, compôs o disco caseiro "Sanguine" - reunião de curtas, mas belas canções circulares. A entrevista e a sessão musical com Julianna Barwick foi registada aquando da sua estreia no nosso país, integrada, a nosso convite, no Festival Inversions. Musica coral exploratória? PS. Quarta, na Antena 3 (22h-23h), o terceiro especial Má Fama, desta vez dedicada aos Lobster. Thanks for featuring this amazing artist. julianna is circular sunshine. such beautiful and inspiring music. awesome, thanks so much for this! I'm glad you liked it as much as I did! Thank you for sharing it. Hey, I like your blog a lot. One thing, though. Would it be possible to separate the sessions into individual tracks? "Hey, I like your blog a lot. One thing, though. Would it be possible to separate the sessions into individual tracks?" Thank you. What do you mean? Separate the songs in individual tracks? This is a radioshow, not a mp3 blog. Perhaps one day I'll choose one song as an appetizer.